In the US, Thanksgiving marks an important holiday surrounding good food and better company — but that doesn’t mean you need to spend it at home. Luxury hotels and resorts provide the perfect setting for celebrating with a gourmet meal and upscale accommodations. Whether you prefer to visit New York City for the annual Macy’s Parade or escape to the beach for the holiday, these are our picks of Thanksgiving getaways. The Macy’s Thanksgiving Day Parade is a New York tradition, but chilly November weather and crowded city streets aren’t the best conditions for enjoying the event. To be right in the middle of the action without ever stepping foot outside, stay in a suite at The Ritz-Carlton New York, Central Park. Parkview Suites face the parade route, putting guests eye-level with the spectacular floats passing by. For the holiday, the hotel is offering A Suite Parade View Experience including an instant film camera as well as a one-hour session with a photographer to capture family photos in your suite. Guests have access to festive hotel programming such as a Float Bar held in the Club Lounge, reserved street-view space to watch the parade and a multi-course dinner at Auden Bistro. A credit at La Prairie Spa provides guests with an opportunity for post-feast relaxation. From $4,195 per night, minimum of three nights. 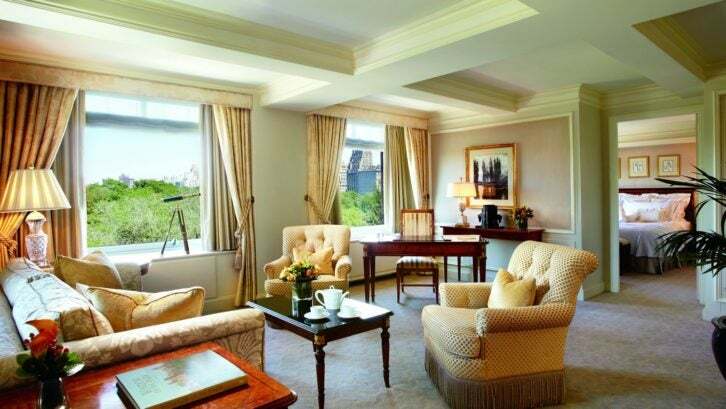 The Ritz-Carlton New York, Central Park is located at 50 Central Park South, New York, NY 10019. For more information, please visit ritzcarlton.com. If you’d prefer to get in the holiday spirit by hosting your own dinner, throw a lavish party at the Lounge at Rose Hill in HGU New York. Invite 40 of your closest friends and family to dine with a custom Thanksgiving menu at the boutique hotel, featuring two 20lb turkeys (with gold flakes, of course), stuffing with white truffles, bottomless Dom Pérignon champagne and liquid gold boozy chocolate tart. To make you feel right at home, executive chef Keith Geter will even prepare two sentimental dishes from your family recipe book. The elegant experience comes complete with a personal event planner to take care of all the details, from the china to the floral arrangements. Enjoy entertainment by a DJ or five-piece jazz band as a professional photographer captures it all. When the evening is over, retreat to two King Deluxe Suites for a glamorous overnight stay. From $20,000 for up to five hours. HGU New York is located at 34 East 32nd Street, New York, NY 10016. To book, contact 20ktg@hgunyc.com. For more information, please visit hgunyc.com. Moving west to Minnesota, the historic Hotel Ivy, a Luxury Collection Hotel, is offering guests a catered Thanksgiving dinner in the comfort of their opulent penthouse. The intimate Thanksgiving Experience includes dinner for 10 in the 2,500 sq ft suite, with a chef on site to recreate favorite recipes. Look out over Minneapolis from a private rooftop balcony before being treated to a special breakfast ahead of Friday’s shopping. A car service will transport guests to the best shopping destinations in the city following an overnight stay in the two-story Penthouse Suite. From $8,000. Hotel Ivy, a Luxury Collection Hotel, is located at 201 South Eleventh Street, Minneapolis, MN 55403. To book, contact kevin.callaghan@thehotelivy.com. For more information, please visit thehotelivy.com. 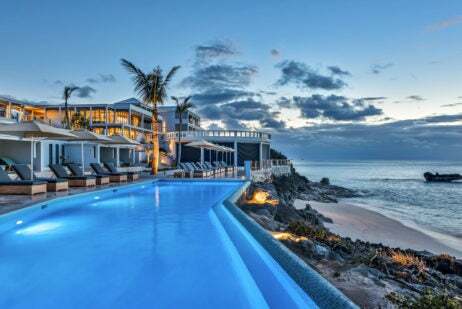 As the first new-build hotel to hit Bermuda in 45 years, The Loren combines a modern ambiance with coastal calm for the holiday. The Thanksgiving package is ideal for couples, offering dinner for two and a food and beverage credit at the property’s Pink Beach Club. Savor roasted butternut squash soup, Bermuda turkey with brioche stuffing and pumpkin pie for dessert before retiring to a King Suite Room featuring stunning ocean views from a private terrace. Unwind by the pool, then be sure to check out the The Spa at The Loren for a refresh after your indulgent holiday meal. From $2,500. 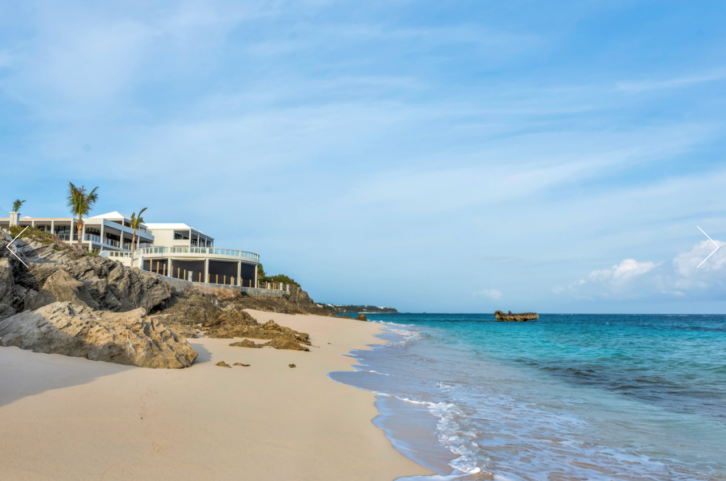 The Loren is located at 116 South Road, Tuckers Town, Bermuda. For more information, please visit thelorenhotel.com. Design a Thanksgiving vacation around your specific needs and interests with the À-la-Carte package from Half Moon resort in Jamaica. Themed activities include a ‘Mayflower’ boat ride on the bay as well as Thanksgiving dinner with a Jamaican twist at the breezy Sugar Mill restaurant on site. Honey and cranberry turkey with fresh island vegetables, raisin and cashew stuffing and crispy pie with cinnamon ice cream will be served at the award-winning venue. Work up a sweat with a Dinner Detox Bootcamp, then head to Fern Tree Spa for a pumpkin pie facial and spicy pumpkin body treatment. 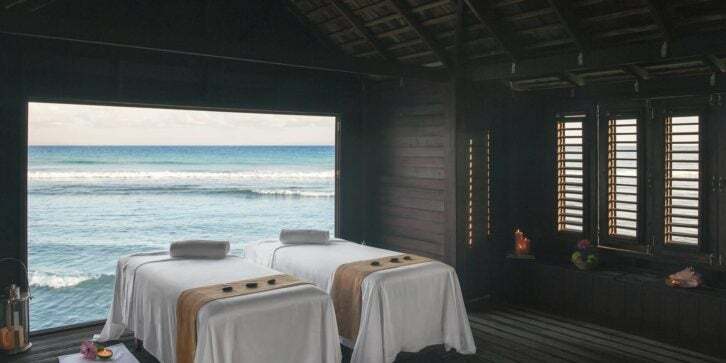 Half Moon is located at Rose Hall, Montego Bay, St James, Jamaica, West Indies. For more information, please visit halfmoon.com.